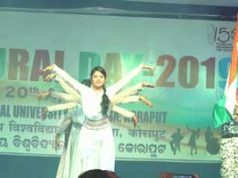 Report by Nishapati Nayak: Forest Department of Koraput Division celebrated 69th Vana Mohoschava (Forest Festival) in collaboration with the Central University of Orissa in a befitting manner at the University permanent campus, Sunabeda today. On this occasion Prof. Sachidnanda Mohanty, Hon’ble Vice-Chancellor attended the programme as Chief Guest. Ms. P. Poornima, IFS, District Forest Officer, Koraput and Mr. A. Uma Mahesh, Assistant Conservator of Forest, Koraput co-hosted the events. Senior officials of the University and forest division staff were present on this occasion. On this occasion plantation of the seedlings through the catapult, sampling plantation was organized at the main campus. Prof. Mohanty in his address stressed on the importance of forest and need of its conservation. 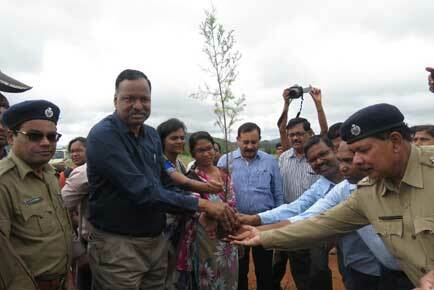 He thanked the Forest Division Koraput for their effort in organizing the Vana Mohoschava (Forest Festival). He said “We need to change our entire approach toward life to build a green and clean forest. We have to create a safe and healthy environment not only for human beings but also for animals and birds as well. He pointed out that the ancient Indian tradition had a special place for Vana or the forest as human being go through life. It is a collective responsibility to create a healthy bio-diversity”. He advised the students to save tress and plant tress as much as possible. Ms. Poornima on her address talked about the importance of Vana Mohoschava (Forest Festival) as it is aimed to create awareness among the people for plantation. She said “we must have to plant more tree and we must reduce cutting tress. To save our planet, plantation is one of the best way to create a healthy and clean environment. Our aim is to make CUO a green campus and a oxyzone. In near future more seedling plantation will be carried out at the campus in collaboration with the University”. She thanked the Vice-Chancellor and University community for proving an opportunity to organise the Vana Mohoshava (Forest Festival) at its campus. Mr. Mahesh talked about the brief history of Vana Mohoschava (Forest Festival). He also explained the concept of Joint Forest Management a participatory approach to save forest. He said “with the active participation of the local people the conservation of forest and forest animal is possible and therefore various, organisation like Vana Surakhya Samiti were constituted by the Forest Department”. For outstanding work in conservation of forest Sh. 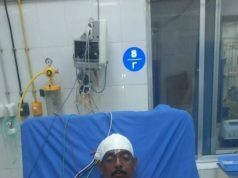 Laxmi Narayan Nayak, Vana Surakhya Samiti, Rudiamba, Koraput and Sh. Raghunath Padhi, Vana Surakhya Samiti, Digapur, Jeypore were awarded with a cash prize of Rs.20,000/- and the Biju Patanik Award for Forest Protection and Conservation-2018 by the Chief Guest Prof. Sachidananda Mohanty. A plantation drive was inaugurated in the University campus by the Vice-Chancellor in the presence of the DFO and other officials of the University and Forest division. 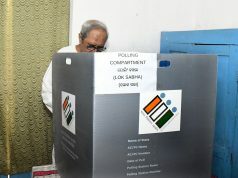 Total 200 samplings were planted at the University on this occasion. A unique method for planting the seedlings were used by the Forest department to reach the unreach low lands of the University campus as they pitched seedlings through the catapult. Though this unique method, around 500 seedlings of different varieties were pitched in the campus on an experimental basis. On this occasion all the staff, students and officials of the University and staff from the Koraput Forest Division took a Green Pledge to keep the environment clean, healthy and to promote the plantation of the trees.